This is a crime that, unfortunately, a lot of people don't think is that serious. While true that on the scale of things Shoplifting isn't the worst of crimes, a conviction on this charge does bring considerable consequences in terms of a criminal offense record. The statue that governs this crime is Massachusetts General Laws Chapter 266 Chapter 30A. The vast majority of people think that shoplifting involves going into a store or business of some kind, concealing merchandise on your person (in a pocket, underneath your clothes, etc.,) and taking the merchandise outside the store. While that example is an easy one, several other actions can constitute "shoplifting" under this statute. Here's a partial list: Concealing merchandise, removing a price tag or a product label, transferring merchandise from one container to another, and even taking a shopping cart from a store's premises. Even eating food taken from the store while shopping can constitute shoplifting. Also, despite what a lot of people think, it isn't even necessary that a person actually leave a store with concealed goods in order to be arrested for shoplifting. Under Massachusetts law, if a person conceals goods in a store while intending to steal them later, that is sufficient to constitute shoplifting in Massachusetts. As to what kind of evidence is needed before a person can be arrested by police for shoplifting, all that is needed is "probable cause." This is the lowest standard of evidence in the law, and all that is needed by police to make an arrest, is a statement or accusation from a store employee that the accused person has shoplifted. That's all. Shoplifting can be categorized as Petty Theft or Grand Theft, and the offense can be classified as a misdemeanor or a felony. The punishment for this offense varies depending on the value of the property that is stolen, and depending on whether the defendant has a prior criminal record. If the value of the items is less than $100, then a first offense conviction is usually punished by a fine of $250. A fine of $500 accompanies a conviction or guilty plea on a second offense (again, assuming the items stolen are worth less than $100.) If, however, the items that are stolen are worth $100 or more, then a first offense can be punished by a sentence of up to 2 years in a county jail, a fine of up to $1,000, or both the jail sentence and the fine. Prosecutors are given discretion in deciding how to charge these cases when the total value of the stolen items is equal to or more than $100: Under these circumstances, they can charge the defendant under either the larceny statute or the shoplifting statute. A defense lawyer who is skilled in handling these types of cases can usually either defeat these charges, or at a minimum obtain the lightest penalty possible. Attorney William D. Kickham is a Massachusetts criminal defense lawyer who has very successfully defended a variety of shoplifting offenses. Anyone charged with this offense, or any Massachusetts theft crime, should have an experienced defense attorney at his or her side. 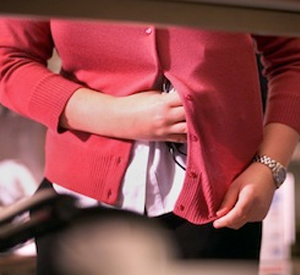 Don't make the mistake of thinking that a shoplifting charge is "no big deal." While it may not be the worst of criminal offenses, a conviction will result in a criminal record - and that can seriously harm a person's future. The smartest way to avoid this result is to retain a Massachusetts theft crimes lawyer who knows how to either reduce or dismiss this charge, or secure an acquittal at a trial. Attorney William D. Kickham knows how to secure the best outcome possible in representing his clients. Almost 25 years of criminal defense experience has produced that expertise. Attorney Kickham devotes his personal attention to each case he accepts, and this approach produces superior results for his clients. If you or someone you know has been accused or arrested for shoplifting or any other Massachusetts theft crime, call us 24 hours a day, seven days a week at either Ph. : (781) 320-0062 or Ph. : (617) 285-3600, or contact us by email for a free initial consultation.